Also included with the latest update is the capability for horizontal scrolling. That's actually a pretty obscure feature, especially since adaptive web formatting got everyone to make websites that don't need horizontal display space anyway. It will still be useful for anyone who regularly accesses documents and Office files remotely, especially spreadsheets and databases. To activate horizontal scrolling, place two fingers on the screen and swipe to the left or right. VNC Viewer's update notes say that the horizontal scrolling feature might not work with open source third-party VNC server clients (i.e. 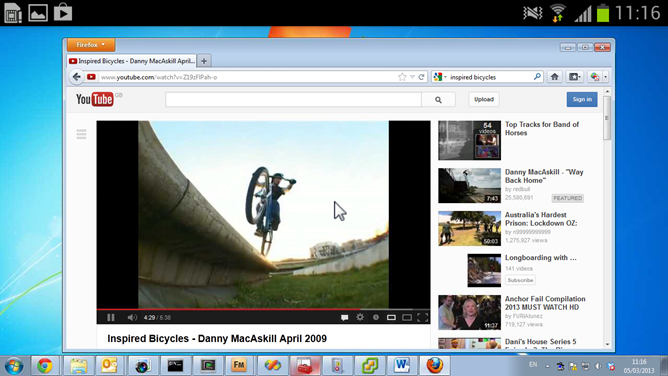 anything that isn't Real VNC) or with older versions of the server app. As before, the viewer for Android is free.